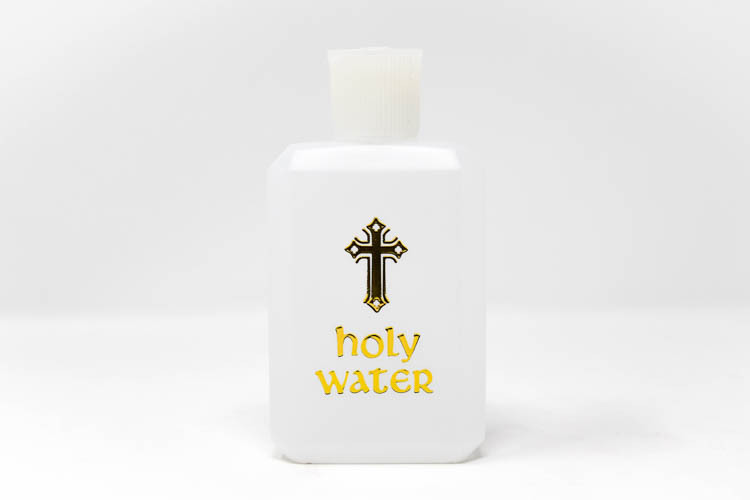 CATHOLIC GIFT SHOP LTD - Plastic Cross Holy Water Bottle Filled with Lourdes Water. Plastic Cross Holy Water Bottle Filled with Lourdes Water. Plastic bottle containing Lourdes water, with gold block printed cross on the front. Bottle measures 4 1/4 inches 11 cm and contains 125ml of Lourdes water.